There are few things more unpleasant than returning to your bike and finding a soggy saddle. 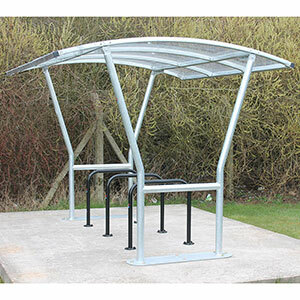 These hard-wearing, attractive, cycle shelters with see-through curved roof will keep bicycles dry in the event of rain. 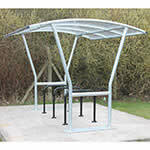 Choose from a range of colours to suit your external décor.